Brandyn will give you the personal attention you deserve! Northwood University has hired Brandyn FIVE times over the past two years! 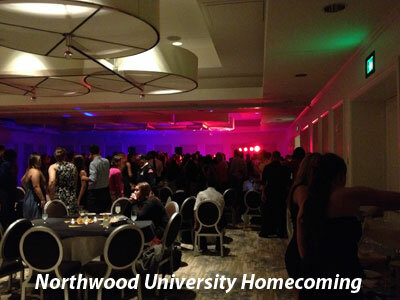 He’s performed at The H Hotel, Homecoming Black Tie and Senior Formal! 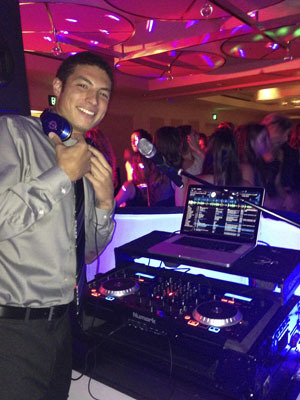 DJ Brandyn was Great on Friday Night! Our wedding would not have been complete without Brandyn! The whole day was a blur but the one thing I cannot forget about is the awesome job Brandyn did at getting and keeping everyone on the dance floor. It was full up until it was time to leave. We were all sad to see the party end. He played every request, made every announcement, and kept the flow of the reception going. I could not have done a better job myself! Our wedding guests are STILL talking about what a great time they had and they had never been to a better reception. For some, it was their first time ever dancing at a wedding because they are usually boring. I had a family member who got married 2 years prior, and the whole family commented on how she should have had Rusch Entertainment for their reception music. Her dance floor was completely empty and people were leaving my 8pm. Our reception was hopping until 11 when the facility was closing. We would have danced all night if we could have. Brandyn even accommodated my request to have a separate setup outside for the ceremony. He played every song in order and knew exactly when to stop a particular song or continue it. There are not enough words to describe how magical that night was, but I will give a lot of credit to Brandyn and Rusch Entertainment, we have never had a better time and probably will never have again thanks to them! We had even talked about having a family party the next time we are in town and having Brandyn provide the music! I had to plan the wedding from 3,000 miles away and Brandyn understood that. He called me and we discussed every detail about the music. He did everything as I had asked and even had some great recommendations that I used. My guests loved talking to him and raved about him all the next day! Not only did my new husband and I leave him a tip, but I found out later, so did a few other guests of the wedding because they had such a great time. Thank you, thank you, thank you for everything and making my dreams come true!